It’s definitely a time of change in UVic’s celebrated Department of Writing, due in large part to this year’s retirement of both award-winning novelist Bill Gaston and acclaimed playwright Joan MacLeod. But with change comes opportunity, as seen by the hiring of not one but two noted writers as incoming faculty members: new associate professor Gregory Scofield and new assistant professor Danielle Geller. Scofield is a Red River Metis of Cree, Scottish and European descent whose ancestry can be traced to the fur trade and to Metis community of Kinosota, Manitoba. Geller is is a member of the Navajo Nation: born to the Tsi’naajinii, born for the bilagaana. One of the most important poets and memoirists writing today, Scofield bridges several generations of Indigenous authors, with an extensive publishing history across multiple genres and years of mentoring and editing young writers—not to mention two new books coming out shortly: a re-release of his first memoir, Thunder Through My Veins (Doubeday Canada/Anchor Books) coming fall 2019, and his second memoir, Sitting with Charlotte: Stitching my History Bead by Bead (Doubleday Canada) due to be published in 2021. 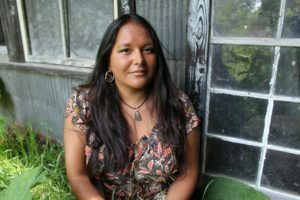 An award-winning poet with eight volumes published, Scofield has taught creative writing and First Nations and Metis literature at Brandon University, Emily Carr University of Art + Design, and the Alberta University of the Arts. He has also served as writer-in residence at the universities of Manitoba and Winnipeg, and Newfoundland’s Memorial University. He is the recipient of the Queen’s Diamond Jubilee Medal (2012), and the Writers’ Trust of Canada Latner Poetry Prize (2016); he is also a skilled bead-worker and creates in the medium of traditional Metis arts. He continues to assemble a collection of mid to late 19th century Cree-Metis artifacts, which are used as learning and teaching pieces. Danielle Geller is a writer of memoir and personal essays; her debut memoir, Dog Flowers, is forthcoming from One World/Random House in 2020. She received her MFA in creative writing (nonfiction) at the University of Arizona, and is a recipient of the 2016 Rona Jaffe Writers’ Awards. Her work has appeared in The New Yorker, Brevity, and Arizona Highways Magazine and has been anthologized in This Is the Place (Seal Press, 2017). Geller writes and teaches across multiple genres with interests and expertise in contemporary forms such as slipstream fiction, Indigenous futurism and video games. Along with her MFA, she has an MS in Library and Information Science and experience as an archivist, which will deepen our students’ research skills and the Writing department’s connection to the many resources of UVic’s library. Both positions will begin in July 2019. “UVic recognizes that colonization and associated attitudes, policies and institutions have significantly changed Indigenous peoples’ relationship with this land. And for many years those same things served to exclude Indigenous students from higher education. We’re committed to redressing those historical and continued barriers,” says university president Jamie Cassels. We acknowledge with respect the Lkwungen-speaking peoples on whose traditional territory the University of Victoria stands, and the Songhees, Esquimalt and WSÁNEĆ peoples whose historical relationships with the land continue to this day. Indigenous concepts and Western legal principles have been united in a historically unique agreement signed by the Canadian Museum for Human Rights (CMHR) and Carey Newman, Audain Professor in the Department of Visual Arts. The agreement covers the protection and use of The Witness Blanket, Newman’s powerful art installation made with over 800 items collected from the sites and survivors of Indian residential schools across Canada. In an unprecedented move, written documents and an oral ceremony have been given equal weight in an agreement that vests legal rights with the artwork itself, as a living entity that honours the stories of the survivors. UVic professor Rebecca Johnson, associate director of the Indigenous Law Research Unit, reviewed the agreement before it was finalized and called it “totally unique”. UVic’s Faculty of Law plans to incorporate the agreement into its curriculum, which will help students explore creative avenues for drawing Indigenous and Canadian legal orders together. Read more in the CBC story here. Now that the 12-metre-long, cedar-framed artwork—which was first presented publicly at UVic back in 2014—has been taken into the care and protection of the CMHR in Winnipeg on Treaty 1 Territory, it will undergo restoration work after several years of traveling, including an extended exhibition at the CMHR in 2015-16. A new traveling version of the Witness Blanket has also been created, which will have its first showing at the Red Deer Museum + Art Gallery from May 4 to June 23. The new documentary film, Picking up the Pieces, about the making of the Witness Blanket—which debuted last fall at the Vancouver International Film Festival—was also shown at the CMHR as part of the announcement, followed by a conversation with Newman and film producer Cody Graham of Victoria-based Media One. Newman is the sixth Audain Professor of Contemporary Art Practice of the Pacific Northwest with UVic’s Visual Arts department. 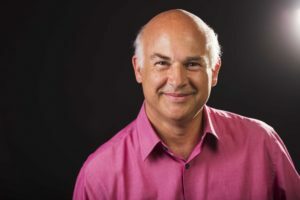 As well as being a former School of Music student, Newman is the first Audain professor to hold a three-year position with the department. 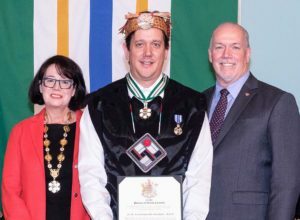 Previous Audain professors include Governor General’s Award-winner Rebecca Belmore, Rande Cook, Nicholas Galanin, Michael Nicol Yahgulanaas and Jackson 2Bears. d Reconciliation Commission, including addressing issues most relevant to Indigenous people and working with Indigenous communities and organizations to understand, preserve and celebrate traditions, knowledge and cultures. UVic celebrates graduates old and new with our annual Alumni Week, running Feb 1- 8 across campus. From film screenings and fascinating talks to concerts, a curling bonspiel, Vikes basketball and the annual Distinguished Alumni Awards night, there will be over a dozen special events to check out. Better still, most are free, although you may have to register in advance. Did you know that 1 in 3 UVic staff and faculty are UVic alumni? It’s true, and you can meet many of them as we celebrate our campus alumni and kick off Alumni Week at an exclusive event at Cinecenta. Join us at noon on Feb 1 for a screening of the short film, ‘Til Death, by director and campus alumnus Connor Gaston. About the film: After losing his soul mate in a fatal bicycle accident, 10-year-old Zachary sets out on a journey to bring Samantha back to life in this magical, modern fairy tale. Gaston, who holds both a BFA and MFA from the Writing department, is an award-winning filmmaker whose work has screened at film festivals around the world, including the Toronto International Film Festival. Gaston’s first feature film, 2015’s The Devout, earned him five Leo Awards (including Best Picture), the BC Emerging Filmmaker Award at the Vancouver International Film Festival, and a Canadian Screen Award nomination for Best First Feature. He is also a current sessional instructor in UVic’s Writing department. Pizza, popcorn and soda will be provided at the screening for just $5, plus everyone will receive a free gift! (Tickets at the door.) Following the film screening, there will be a Q&A with the director. This event runs noon to 1pm Friday, Feb 1, at Cinecenta in UVic’s SUB. Film starts at 12:15pm, so come early to get your pizza! Victoria-based vocal quintet Fifth Street combines the worlds of pop, jazz and R&B in perfect five-part harmony. The sublime voices of Natasha Penfield, Jilaine Orton, Ryan Narciso, Kenji Lee and Taylor Caswell found a groove together while students and as members of UVic’s Vocal Jazz Ensemble. You’ll enjoy their original a cappella arrangements of pop hits by the likes of Imogen Heap and Justin Timberlake as well as fresh takes on timeless classics. UVic Music alumni are invited to an exclusive pre-concert reception with tasty hors d’oeuvres, door prizes, plus a special pre-concert appearance by Fifth Street. Hear them in action at 8pm Saturday, Feb 2, in the School of Music’s Phillip T Young Recital Hall, in UVic’s MacLaurin building B-wing. Entrance is by donation. 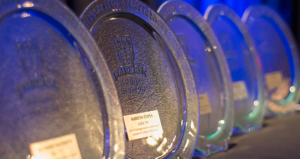 Come join UVic’s annual celebration recognizing and honouring Distinguished Alumni Award winners that have been chosen from the faculties, UVic Libraries and Continuing Studies. 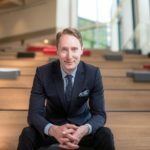 This year, Fine Arts is honouring Theatre alumnus Nathan Medd —a cultural non-profit leader whose work is devoted to developing the performing arts in Canada. 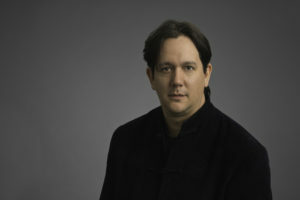 Now the managing director of performing arts for the Banff Centre for Arts and Creativity — the nation’s largest arts training institution and incubator of new works — Medd was also the managing director of English Theatre at Canada’s National Arts Centre, where his team successfully championed Canadian creators and initiated a new national stage for Indigenous performance. Join us at 7:30pm Tuesday, Feb 5, in the Songhees Wellness Centre, 1100 Admirals Rd. Free, but registration is required. Join 2019 Fine Arts Distinguished Alumni Award recipient Nathan Medd for this lively discussion about the ins and outs (and ups and downs) of creative placemaking. From development and gentrification to funding and accessibility for artists and audiences, get ready to “nerd out” about the business of the arts. Joining Medd on the panel will be long-time colleagues Kevin Kerr, Writing professor and co-founder of Vancouver’s Electric Company, Janet Munsil, former Intrepid Theatre artistic director and Metro Studio co-founder (also a Phoenix alumna and current MFA candidate in Writing), and Ian Case, Theatre alumnus, director of The Farquhar at UVic and former general manager of Intrepid Theatre. 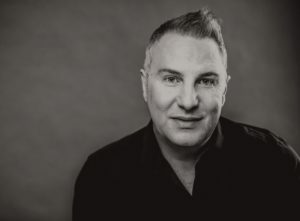 In addition to his current position at the Banff Centre for Arts and Creativity, Medd was previously the managing director of English Theatre at Canada’s National Arts Centre. 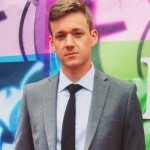 As managing producer of Electric Company, he produced original works for the Vancouver 2010 Cultural Olympiad and co-founded East Vancouver’s Progress Lab performing arts creation studio in 2009. In Victoria, he worked for Intrepid Theatre, where he co-founded Metro Studio — a flagship venue for Vancouver Island — and held positions with both the Belfry Theatre and the BC Arts Council. This free talk runs from 12:45-1:45pm Wed, Feb 6, in the Bishop Theatre at UVic’s Phoenix Building. Join UVic Chancellor and CBC Radio’s The Next Chapter host Shelagh Rogers as she has a frank and fascinating live conversation with two-time Giller-prize winning novelist and Writing alumnus Esi Edugyan. The internationally acclaimed author of Washington Black, her latest novel, Edugyan is also the author of the Giller Prize-winning Half-Blood Blues and The Second Life of Samuel Tyne. Join us at 7pm Thursday, Feb 7, in the Michelle Pujol Room at UVic’s SUB. Copies of Washington Black will also be for sale, courtesy of UVic’s Bookstore. Update: this event is now sold out, although a waiting list is being taken. UVic is accessible by sustainable travel options including transit and cycling. For those arriving by car, pay parking is in effect. Evening parking is $3. The 25th annual Victoria Film Festival features work by both Writing and Visual Arts alumni and students, running throughout the festival. Writing alum Connor Gaston is showing the short film Encore as part of the shorts program “Beautiful Obsessions” on Feb 4. The Safe Space Panorama exhibition runs Feb 2-10 at the Atrium and features work & talks by Visual Arts MFA candidate Levi Glass (talk: 3pm Feb 3), undergrads Laura Gildner (3pm Feb 4),Jordan Hill (3pm Feb 6) and Jake Hrubizna (3pm Feb 8), plus MFA alumni Leah McInnis (3pm Feb 7) & sessional instructor Emily Geen (5pm Feb 5), as well as the 25th anniversary multimedia installation States of Play, curated by recent Visual Arts alumna Gina Luke. Phoenix alumna & musical theatre teacher Kim Sholinder and the student cast & crew of Victoria High School will perform the Broadway musical Cry-Baby — based on the hit 1990 John Waters film of the same name, which starred a young Johnny Depp! 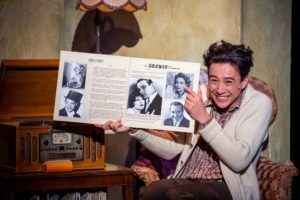 This upbeat, campy musical provides a fun twist on 1950s star-crossed young lovers. Cry-Baby runs Feb 5-9 at Victoria High School, 1260 Grant. Tickets are $10-$12. The Victoria Arts Council is pleased to be working with Visual Arts MFA alumnus Hjalmer Wenstob on a new solo exhibition. For Ground; Background is a culmination of selected sculptures from over the last four years, as well as new works and installations. For Ground; Background hosts works of question, concern and education, in regards to environment, urban relationships to the land, and treaties. 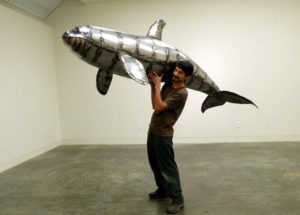 Wenstob is an interdisciplinary artist who specializes in sculpture, installation, and carving; he speaks of three dialects of his work — contemporary, traditional, and community-based. Through his contemporary dialect, he completed both an undergraduate and master’s degree at UVic, exploring the relationships between cultures and art, and the balance between traditional and contemporary. His work is at times highly political and uses humour and irony to pose difficult questions of respect, reconciliation, and environmental issues. Nuu-Chah-Nulth from the Tla-O-Qui-Aht First Nations on his father’s side, and Norwegian and English on his mother’s side, Wenstob and his family recently opened Cedar House Gallery in Ucluelet, B.C. where he is exploring ways of weaving his contemporary/political work with more traditional materials and styles. For Ground; Background runs until Feb 16 at the new Victoria Arts Council space at 1800 Store St. Open 11am-5pm Tues-Sat. Visual Arts instructor & MFA alumnus Todd Lambeth presents Night Moves, a series of paintings that investigates the abstract relationship between space and colour. 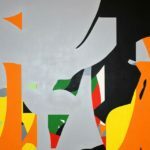 Influenced by Cubism, hard-edged Modernist painting, comic books and candy wrappers, the colours in these paintings reference the world of advertising and design. These visually stimulating works express the artist’s interest in perceptions of pictorial space and are a direct response to the proliferation of digital imagery and imaging technology. These paintings explore optical perceptions of space; emphasizing the formal properties of structure and design, Lambeth’s images present the viewer with a sense of visual pleasure. With their bright, welcoming colours and forms the paintings in Night Moves foreground ideas of beauty and express Lambeth’s desire to create optimistic works that distract the viewer from the difficult times in which we live. Night Moves runs through to March 2 at Deluge Contemporary Art, 636 Yates. There will be an artist talk at 3pm Sat, Feb 16. Writing alumnus and former longtime Malahat Review editor John Barton has been named the new Poet Laureate of Victoria. Barton has written 26 books and is currently working on his first book of prose; his appointment was reported in this Times Colonist article and this piece from Monday Magazine. The Victoria Theatre Guild offers a lively version of this 2005 Tony-winning show — a clever, charming and sweet-natured musical comedy about six quirky tweens competing in the spelling bee of a lifetime. While candidly disclosing hilarious and touching stories from their home lives, they spell their way through a series of words, hoping never to hear the soul-crushing ding of the bell that signals a mistake. In the end, the youth learn that winning isn’t everything, and that losing doesn’t necessarily make you a loser. Featuring a fantastic performance by Phoenix alumni Hailey Fowler and an outstanding set by Barbara Clerihue. 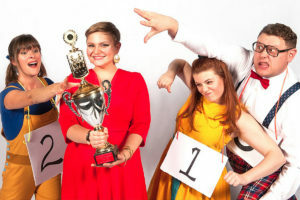 Spelling Bee runs until Feb 2 at Langham Court Theatre. Tickets are $25-$35 . . . if you can find one! There was certainly no shortage of Fine Arts news in 2018, given that we tracked nearly 300 local, national and international media stories about the creative activities of our faculty, alumni, students and staff . . . and those are just the stories we know about. From our new faculty members—including Rick Leong, Sasha Kovacs, Deborah Campbell, Katharina Clausius and Michael Elliott—to a new batch of websites for our departments of Art History & Visual Studies, Theatre, Visual Arts, Writing and the School of Music, Fine Arts continues to grow and evolve as we move closer to our 50th anniversary in 2019/20. 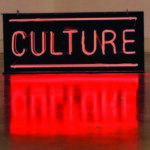 While it was hard to choose favourites from amongst the many stories that appeared in both traditional and social media, here (in no particular order) are our choices for the top 10 Fine Arts stories from our faculty blog. Three UVic faculty members received the country’s highest academic honour by being named 2018 fellows of the Royal Society of Canada (RSC) in September—and among those joining the distinguished ranks was School of Music professor Benjamin Butterfield. While Butterfield has won international plaudits as one of Canada’s best operatic tenors, he is equally passionate about his role as head of voice for UVic’s School of Music. Butterfield is now the eighth Fine Arts faculty member to be inducted into the RSC, including Fellows Mary Kerr (Theatre), Harald Krebs (Music), Tim Lilburn (Writing), Joan MacLeod (Writing) and Sandra Meigs (Visual Arts), as well as RSC College member Dániel Péter Biró (Music) and RSC Medal winner Jack Hodgins (Writing, retired). Read more about Butterfield’s RSC appointment here. 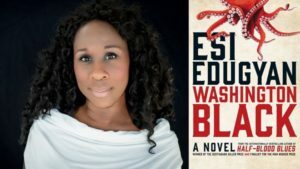 Fine Arts has no shortage of alumni success stories, but it’s hard to top internationally acclaimed Department of Writing alumna Esi Edugyan, who won her second Scotiabank Giller Prize in 2018 for her latest novel, Washington Black. Edugyan won $100,000 on the 25th anniversary of Canada’s richest literary award, and also earns the distinction of being one of only three authors to twice win the Giller Prize, alongside M.G. Vassanji and Alice Munro. Washington Black was also nominated for the Man Booker Prize and the Rogers Writers’ Trust Fiction Prize—as was her previous 2011 Giller Prize-winning novel Half-Blood Blues. Indeed, having only published three novels (including her debut, The Second Life of Samuel Tyne), Edugyan’s back-to-back wins for Washington Black and Half-Blood Blues is doubly remarkable, especially when you consider both were shortlisted for the coveted trifecta of fiction awards. Read more about Edugyan’s Giller win here. 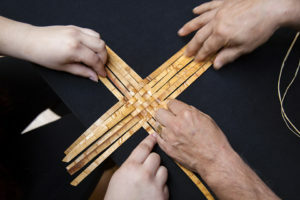 When Kwagiulth and Coast Salish artist Carey Newman’s Witness Blanket was unveiled at the University of Victoria in 2014, it was clear the large-scale installation would quickly become a national monument and spark reflection and conversation about residential schools, settler-Indigenous relations and reconciliation. Now, Newman will continue the conversation as the sixth Audain Professor of Contemporary Art Practice of the Pacific Northwest with the Visual Arts department. It’s been a big year for Newman: on top of being declared the Audian Professor for the next three years, he was granted the Order of BC, was named the inaugural recipient of the Professional Arts Alliance of Greater Victoria’s Regional Arts Award, played a role in the Aboriginal Canadian Entrepreneurs program with the Gustavson School of Business, received a Saanich150 art commission and debuted his new “Witness Blanket” documentary at the Vancouver International Film Festival. Read more about Newman’s Audain position here. 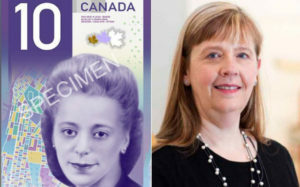 While it’s no secret now that Canada’s new vertical $10 bill features Nova Scotia civil libertarian Viola Desmond, Butler-Palmer was under a strict confidentiality order for several months starting in summer 2017 while she was consulted by the Bank of Canada about the proposed design. One of a number of experts contacted, Butler-Palmer came to their attention due to the Globe and Mail coverage of her early 2017 exhibit Ellen Neel: The First Woman Totem Pole Carver at UVic’s Legacy Gallery. Find out more about Butler Palmer’s involvement in the $10 bill here. The response to Phoenix’s fall mainstage production of The Drowsy Chaperone, directed by Jacques Lemay, was fantastic. Audiences and reviewers alike praised this production as one of the finest in Phoenix’s 50-plus year history. It was such a hit, in fact, that they ended up adding two additional shows after the entire run was essentially sold out in November! Read more about the amazing success of The Drowsy Chaperone here. 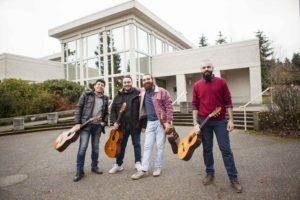 The dramatic story of four musicians escaping daily violence in Syria for a fellowship in UVic’s School of Music caught the attention of The Globe and Mail in December, and became one of UVic’s top news stories of 2018. Alexander Dunn, an internationally renowned guitarist and UVic music instructor for nearly three decades, played a vital role in bringing the guitar quartet to UVic by working for the past 18 months with two US-based organizations—the Artist Protection Fund (APF), an innovative initiative of the Institute of International Education, and the non-profit organization Remember the River. Now safely in Victoria as the recipients of a prestigious Artist Protection Fund Fellowship grant, the Orontes quartet offer a remarkable message about the power of music, hope and determination. The quartet told the Globe and Mail that their peaceful lives in Syria had been disrupted by the civil war, and violence and terror became commonplace. But when the ensemble started to play together, “we forgot everything because we just focused on what we are doing,” as recounted to The Globe’s arts reporter Marsha Lederman in a December 8 article in the national edition of the newspaper. Read more about the Orontes Quartet here—and be sure to watch this Globe and Mail video of the quartet playing together. 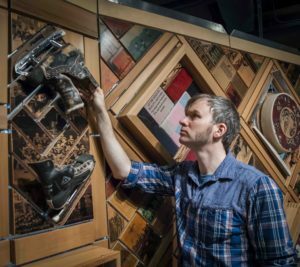 Victoria-based artist Colton Hash became the inaugural recipient of an Artist-in-Residence program by the Faculty of Fine Arts and Ocean Networks Canada (ONC), a UVic initiative. The new ONC residency will strengthen connections between art and science, and broaden perspectives on major issues ranging from technology and the environment to biodiversity and healthy communities. A recent graduate of UVic’s combined undergraduate program in Visual Arts and computer science, Hash was selected for the residency from a field of nearly 70 local, national and international applicants. He will hold the position from November 2018 to March 2019 and, following his residency, will provide a public exhibition of the resulting body of work. Read more about Hash’s ONC residency here. 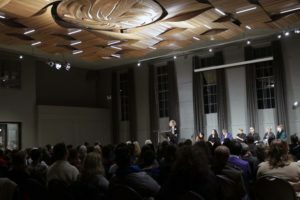 The fourth annual Building Reconciliation Forum was hosted at UVic in November and, as part of the two-day event, Fine Arts hosted a panel discussion on First Nations Art Practice & Reconciliation. Presented in partnership with Universities Canada, the Building Reconciliation Forum brought together close to 250 thought leaders from universities, Indigenous governing bodies and communities, and federal and regional government officials from acorss Canada to consider how universities are answering the Truth and Reconciliation Commission’s Calls to Action. As part of the Forum, Fine Arts Dean Dr. Susan Lewis hosted a near-capacity panel discussion on First Nations Art Practice & Reconciliation at downtown’s Baumann Centre, featuring a range of local artists, administrators, activists and alumni discussing how Victoria’s arts community can advance decolonization and reconciliation. Panelists included Visual Arts MFA alumna and the City of Victoria’s inaugural Indigenous Artist in Residence Lindsay Delaronde; the Belfry Theatre’s Indigenous cultural advisor Kristy Charlie and executive director Ivan Habel; Pacific Opera’s director of community engagement Rebecca Hass; Open Space board member and Visual Arts sessional instructor Charles Campbell; Legacy Gallery director Mary Jo Hughes; and Art Gallery of Greater Victoria curator of engagement Nicole Stanbridge. Also during the forum, the Theatre department hosted Nomad, a musical and visual journey through Inuit history with Inuk singer-songwriter and Order of Canada recipient Susan Aglukark. Find out more about the First Nations Art Practice & Reconciliation event here. 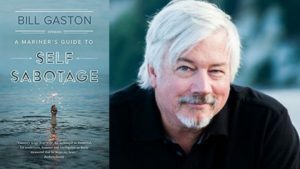 Department of Writing professor Bill Gaston won the 2018 City of Victoria Butler Book Prize for his short-story collection The Mariner’s Guide to Self Sabotage (Douglas & McIntyre). Victoria Mayor Lisa Helps and co-sponsor Brian Butler presented Gaston with his $5,000 prize at a gala October 17 event at downtown’s Union Club. 2018 was a strong year for the Writing department at the Victoria Book Prize, given that fellow nominees included professor emerita Lorna Crozier (What the Soul Doesn’t Want), longtime instructor Patrick Friesen (Songen) and longtime Faculty of Fine Arts colleague and Dean’s External Advisory Committee member Maria Tippett (Sculpture in Canada: A History). Gaston is also one of 10 authors nominated for the prestigious RBC Taylor Prize for his 2018 memoir, Just Let Me Look At You (Hamish Hamilton). Read more about Gaston’s win here. It’s only been 10 years since sister duo Twin Kennedy graduated from the School of Music, but during that short decade, the acclaimed country/roots duo already released two albums, toured across North America, moved to Nashville and won the hearts of country radio and fans alike. 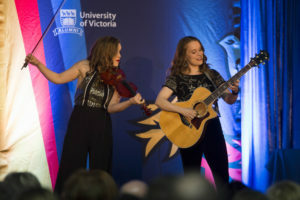 The sisters headed back to UVic in February to be honoured as the Fine Arts winners of UVic’s 2018 Distinguished Alumni Award—an award that’s doubly special this year, given that it was presented during the School of Music’s 50th anniversary. “And we did it together!” laughs Julie. They now join the ranks of our previous Fine Arts Distinguished Alumni Award winners: visual artist Althea Thauberger (MFA ’02) director Glynis Leyshon (BFA ’73), author Esi Edugyan (BA ’99), lighting designer Michael J. Whitfield (BA ’67), director and filmmaker Mercedes Bátiz-Benét (BFA ’02), poet Carla Funk (BFA ’97), musician Paul Beauchesne (BMus ’88), author Deborah Willis (BA ’06), environmental designer Valerie Murray (BA ’78), author Eden Robinson (BFA ’92) and visual anthropologist Andrea Walsh (BA ’91). Find out more about Twin Kennedy’s award here. From telling stories that helped us understand what it meant to be Canadian to inspiring future generations of writers, Richard Wagamase was one of Canada’s most beloved authors. 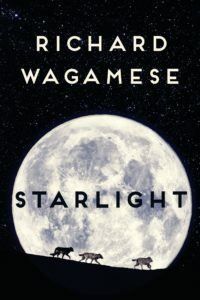 His death in 2017 at just 61 was a profound loss for our country’s literary culture, and now his final novel, Starlight, is being launched locally at a special event hosted by UVic Chancellor Shelagh Rogers who is also host of CBC Radio’s The Next Chapter and a longtime friend of Wagamese. 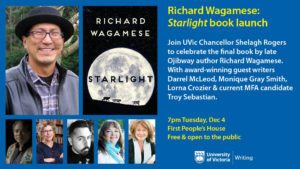 The Starlight book launch runs from 7-8:30pm Tuesday, Dec 4, at UVic’s First Peoples House. Admission is free, and all are welcome. Starlight tells the story of an abused woman who discovers sanctuary on the farm of an Indigenous man, and is an apt conclusion to his literary legacy. Joining Rogers will be 2018 Governor General’s Award winner Darrel J. McLeod (Mamaskatch), 2018 Bolen Book Prize winner Monique Gray Smith (Speaking Our Truth: A Journey of Reconciliation), current Writing MFA candidate Troy Sebastian and Writing professor emerita Lorna Crozier. 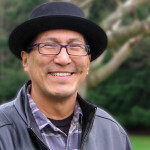 As one of the Harvey Southam Guest Lecturers in the Department of Writing, Wagamase had a lasting influence on UVic students and the local community by mentoring young writers and sharing his vision of the power of Indigenous storytelling. “Richard Wagamase had a profound impact on our national culture through his novels, his essays, his memoirs and his memorable readings and talks,” says Writing chair David Leach, moderator of this event. By drawing upon his work as a journalist and his experiences as a residential school survivor, Wagamese created memorable and award-winning novels such as Indian Horse and Medicine Walk, as well as compelling works of nonfiction, including as One Native Life and Embers. Copies of Starlight will be available for sale at the event. UVic is this year’s host for the fourth annual Building Reconciliation Forum, in partnership with Universities Canada, the national organization for Canadian universities. The forum (Nov. 15–16) brings together close to 250 thought leaders from universities, Indigenous governing bodies and communities, and federal and regional government officials to consider how universities are answering the Truth and Reconciliation Commission’s Calls to Action. This year’s theme is Ts’its’u’ watul tseep, meaning to help one another. The teachings of Coast Salish First Nations guide us to “work together in a good way” and “to be prepared for all work to come” so that universities across Canada make a difference in the lives of Indigenous students and their communities. Panels over two days are addressing TRC topics such as child welfare, language and culture, education, health and justice. Participants will be discussing how universities and their partner institutions can work with Indigenous communities to answer the Calls to Action, obstacles to answering these Calls, and how universities can make a positive difference for Indigenous students and communities. Forum discussions will be compiled into an open-access report. See the schedule of events. Art Gallery of Greater Victoria curator of engagement Nicole Stanbridge. The panel runs from 6:30–9:30pm Thursday, Nov 15 at Pacific Opera Victoria’s Baumann Centre, 925 Balmoral Road. Note: while this event is free, it is technically already sold out. Some seats may be available at the door. 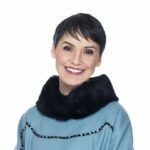 Also during the Building Reconciliation Forum, Fine Arts will be hosting noted Inuk singer-songwriter and Order of Canada recipient Susan Aglukark as she presents Nomad, a musical and visual journey through Inuit history, shedding light on some of the psychological and cultural impacts of the rapid change in Canada’s North. Seating will be extremely limited for this event running from noon-1:30pm on Wednesday, Nov 14, in the Chief Dan George Theatre in the Phoenix Theatre building.